These dangling earrings from the Honora Skyline collection are light and bright! 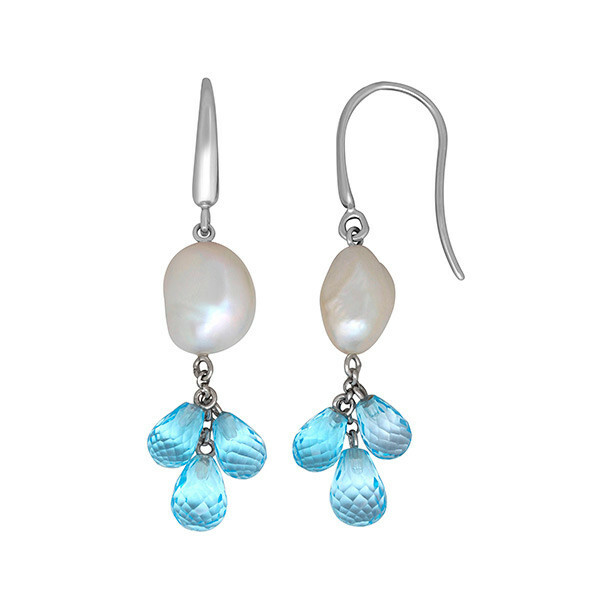 Crafted in sterling silver, a 9-10mm white Keshi pearl from which a trio of textured sky blue topaz gemstones dance descend from a French wire that threads through your ear comfortably. These Honora earrings have an airy ambiance that you'll appreciate.